Whether you're buying or selling a home, a Home Warranty is an excellent investment. If you're selling a home, the last thing you want to do is shell out big bucks if a system or appliance stops working. And if you're buying a home or you already own your home, it's nice to know you're protected from expensive repair and replacement costs. Whether you are a homebuyer, home seller or existing homeowner you'll appreciate the numerous benefits and conveniences that come from having the Home Warranty. Attract more first-time home buyers. 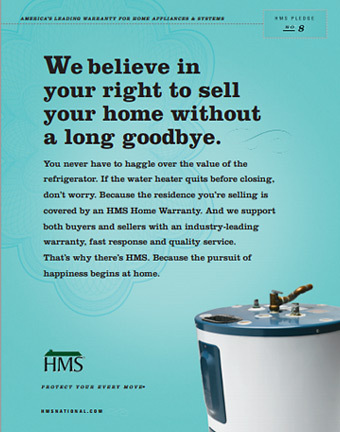 Provide peace of mind for buyers who might be intimidated by the high cost of repairing or replacing appliances. Comprehensive protection. They will repair or replace covered systems and appliances no matter the age, make or model. Plus, there are no home square footage restrictions and no inspection required. Easy claims process available 24/7/365. All you have to do to place a claim is call our toll-free number or submit a claim online you will be assigned a qualified service provider in your area. 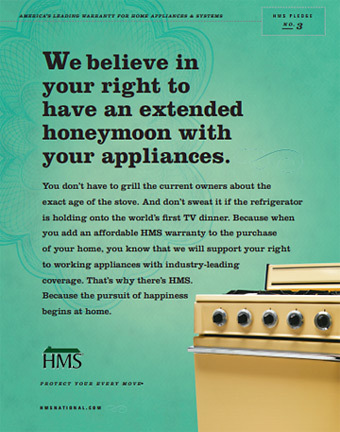 Save with Appliance Buy Even if items in your home are running great, you may decide to remodel or upgrade. You can take advantage of this buying power and get deep discounts off brand name appliances.